First in-motion look at Tomohiko Deguchi's new tactical RPG. Spike Chunsoft and MonoChro have opened the official website and released the first trailer for Grand Kingdom, its newly announced tactical RPG for PlayStation 4 and PS Vita from Grand Knights History director Tomohiko Deguchi. You can employ class-based units that possess various special characteristics for your mercenary group. Then head into battle via quests or online. The player is a rookie mercenary leader who belongs to the guild, and can have his group take on the requests that come in from each nation. But there are things happening behind the scenes of war, and the player gets involved in a major incident that involves the entire continent. The story will be fully voiced and promises a charming cast. Arrange your units and gimmicks, take on strategic battle formations, and combine those with various action-oriented techniques. Via online play, four major powers battle for dominance. Promise your allegiance to one country, or fight for your own wealth and fame. It all depends on you. PlayStation 4 and PS Vita users can play online together via cross-play. More than 100 years since the fall of the Oldein Empire, mercenaries, not soldiers, are burdened with leading battles upon the ruined land. That person did it to make end’s meet… That one to take advantage and earn a profit amidst the chaos… They exposed themselves to death for loyalty. As the leader of groups of newbie mercenaries, they are responsible for guiding forces into many battlefields. At the same time, shadows move in secret. That will cause a major incident to occur within the continent. This is the story of the mercenaries living in a world of warfare. 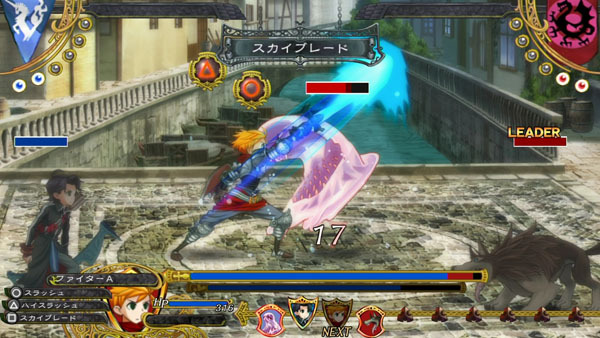 Grand Kingdom is due out later this year in Japan.